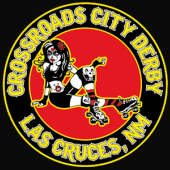 Crossroads City Derby is always looking for Fresh Meat! This invitation is extended to individuals ages 18+ who would like to join our league as a skater. All skate levels are welcome, but if you don't know how to roller skate, please come out to skate prior to Fresh Meat! 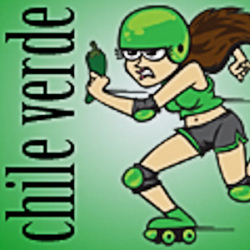 Our Chile Verde group on Facebook is the way we communicate, and you'll need to "request an add" to join. Don't have a Facebook profile? You must have one for your derby life; it's a necessity in our league. 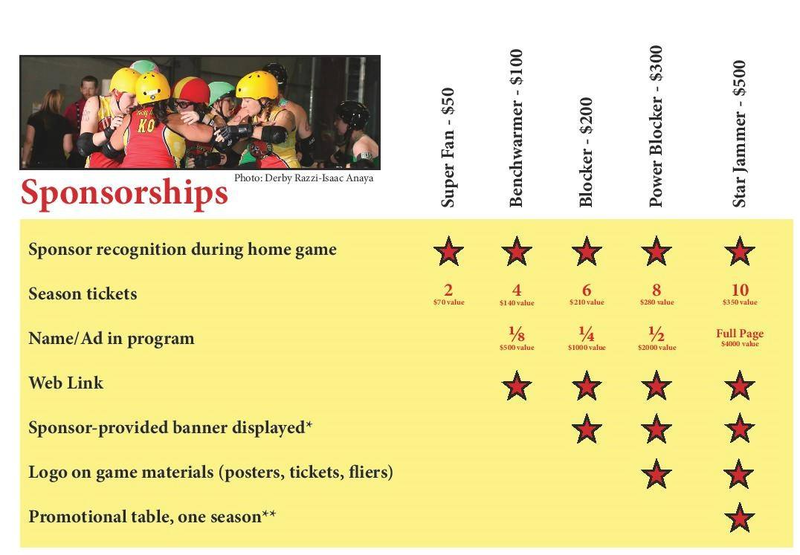 WFTDA Insurance will be required after you are drafted to the league. The current cost is $75 for the entire year. This includes a helmet, mouthguard, elbow pads, wrist guards, knee pads, and skates. We have limited gear you can try on and borrow (but not keep) and we’ll help steer you in the right direction to purchase your own. Starter packages are available through various vendors and we can help you find the best bang for your buck. Our friends at Derby Warehouse offer a 20% discount with the coupon code "CCD." 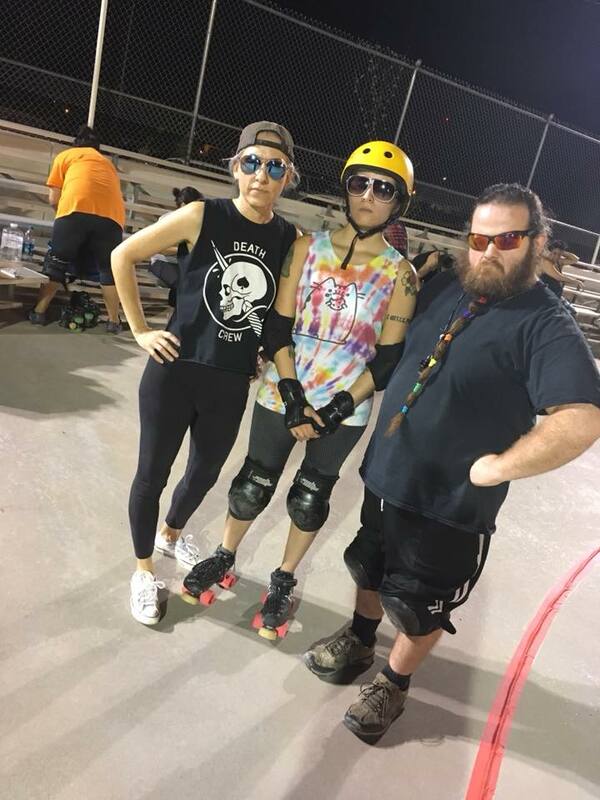 Since we are governed by the Women’s Flat Track Derby Association (WFTDA), every skater must demonstrate minimum skill requirements such as: proper derby stance, how to fall correctly, basic stops, and endurance level prior to becoming a full contact skater with CCD. This is why we have Fresh Meat training! Something New: Starting on April 2nd, we're doing a "rolling" or continuous Fresh Meat with practices on Tuesdays & Thursdays from 6:15pm - 8:15pm. (Hint: arrive at 6pm to be geared up and on the track by 6:15pm.) We'll offer some bonus skate times on Sundays for anyone wanting extra practice, and you are encouraged to skate on your own during Rec Center hours. Loaner skates & gear are limited and not guaranteed. Dues are $20/month and you MUST have your a mouthguard and water, with plans to purchase your own skates & gear by the end of your training. If you don't have a Facebook profile, you need to create one just for communication with the league. Your dedicated coaches expect you to show up to every practice hydrated and ready to learn! We'll expect you to do some work off skates on your own and will happily answer your questions. During Fresh Meat you will learn how to skate, how to fall, how to stop, and proper derby stance... and then you'll learn how to hit and be hit! We'll also show you how to maintain your skates and will advise you on ordering gear and skates, if you ask. You will be expected to volunteer at every home game as a Non-Skating Official, which will help you learn the rules and your future teammates. You will make some awesome friends and will have an inordinate amount of fun! Skills assessments are done at the end of 12 weeks or sooner, depending upon skater skill. If you pass your WFTDA Minimum Skills and have made the 75% attendance requirements, you will be permitted to practice with the league and will be drafted onto one of our home teams! Once you "graduate" to rookie status, you will be expected to continue attending practice regularly and volunteering, plus you'll have the chance to join one of our committees! 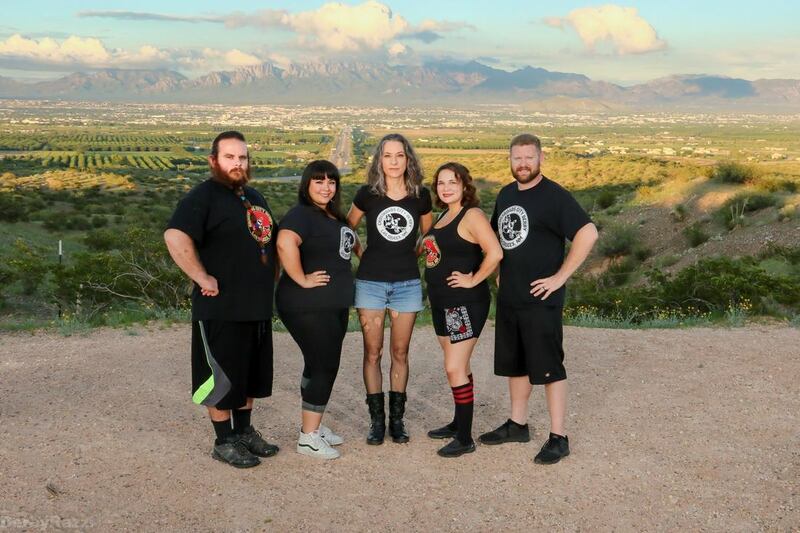 There's a committee for every aspect of roller derby. If you decide you aren't interested in skating full contact, you can skate with our non-contact group, or even train to be a referee or non-skating official (The Dark Side of the Bout). For additional information, email us. The Okayest Fresh Meat Coaches Ever.